6 Fall graphs with worksheets – NO PREP! 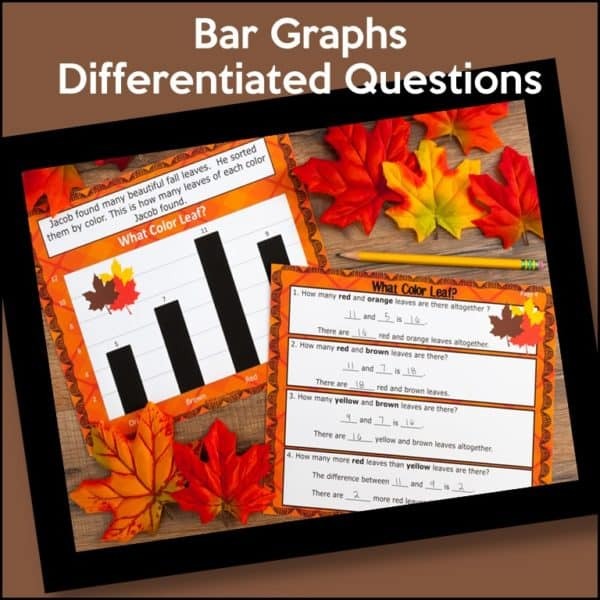 Ready to teach your kids about BAR GRAPHS and PICTURE GRAPHS? Would you like to do it with NO PREP? 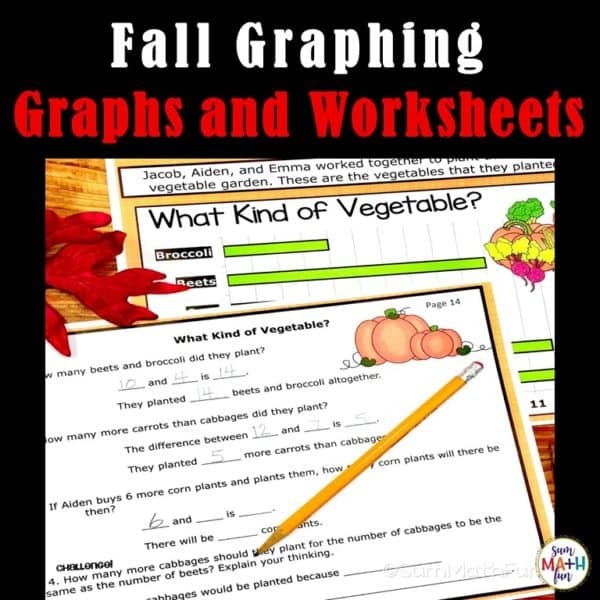 This packet is full of fun and engaging graphing activities for students. 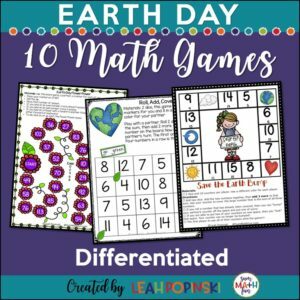 It includes activities that are great for whole group, small group, homework, and centers. the leveled questions also work well for RTI. 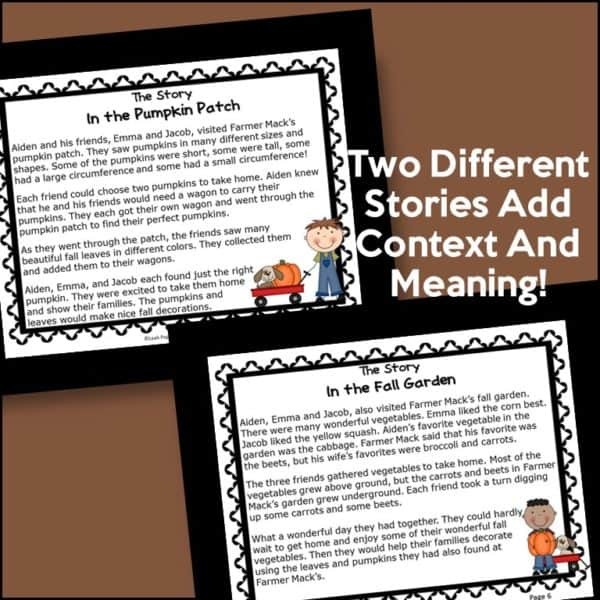 These activities have a fall theme and include a set of bar graphs, picture graphs, and leveled questions about three friends who visit Farmer Mack’s fall garden. ♥ Why you’ll L-O-V-E this! 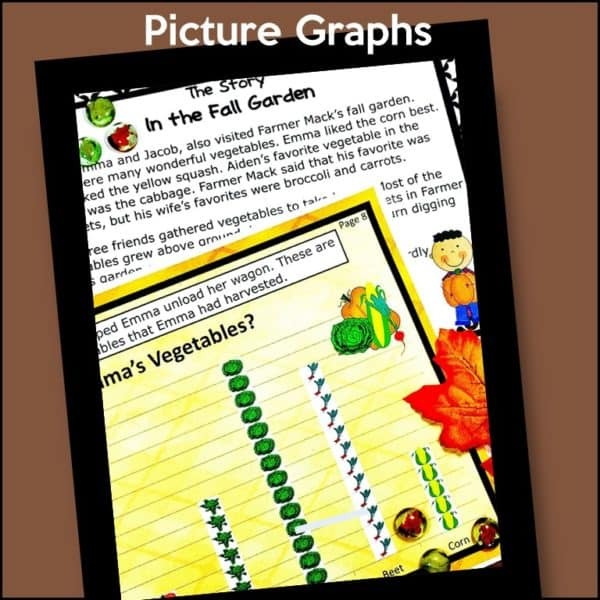 There are three different picture graphs with matching bar graphs and eight questions for each. 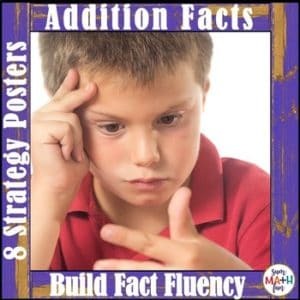 For use in centers, the graphs can be displayed and the questions laminated or placed inside sheet protectors so that students can use dry erase markers to record. The graphs and questions are sequenced from most easy to more difficult. 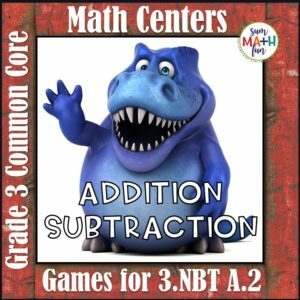 The questions are followed by a frame sentence as well as a solution sentence. Completing these sentences will help students be more successful in answering the question that is asked. Use the questions provided as a template to create questions of your own, or have students write questions that can be answered by each graph. Place students’ questions in an envelope with the name of the graph, and then place the envelope in the graph center. Students then answer each other’s questions.